We learn so much from these hearings. (SPOT.ph) We don’t know if this will lead to any arrests, confiscations, refunds, or anything that will benefit the public...so in order to milk it for what it’s worth, we’re going to squeeze out some entertainment and education out of the Senate Blue Ribbon Committee’s hearing on the Makati City Hall Building 2. They didn’t even talk about the darn building anymore. Or maybe we can just use this video for a drinking game. Take a shot every time businessman Antonio "Tony" Tiu says, "Well, uh..."
We learned this lesson in an amusing way, on the tension-filled Senate floor. Representative Toby Tiangco and Atty. JV Bautista were not-so-gently nudged out of the hearing, reminding all of us to RSVP and plan ahead. Lesson learned: A Power Point presentation is not a sure ticket to a meeting. 2. Raissa Robles has astute observation skills. 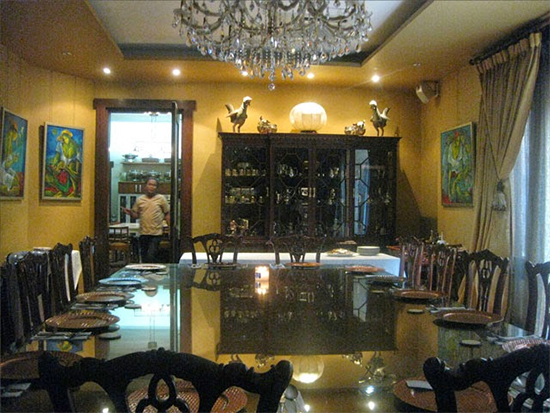 There was that whole "kulay mahirap" business care of Senator Antonio "Sonny" Trillanes IV, but today we learned about a dining room that a respected journalist described as a "dining room of a politician." Pressed to stick to more relatable terms, she amended it to an "upper class" dining room. Lesson learned: Language is beautiful, especially when used creatively. Bonus lesson: After it was revealed that the Binays owned an opium bed, Senator Alan Peter Cayetano quipped that rooms that had one were like "sosyal versions of crack houses." 3. Kim Henares doesn’t understand what’s going on. BIR Commissioner Kim Henares was invited as a resource person and, when asked for her opinion on ownership, she humbly stated that she found the exchange on the floor confusing. Senator Cayetano assured her that very few people understand what’s going on in Rosario, Batangas. Lesson learned: Commissioner Henares is not always the most annoying person in the room. 4. If Senator Trillanes visits your home, offer him water. We don’t think he’s being unreasonable. The trip to Batangas must’ve been long and hydration is a must if you want to be healthy. Businessman Antonio "Tony" Tiu could’ve been spared a few minutes of questioning about the kitchen which may or may not be his if he had only been a more galant host. Lesson learned: "This is my house. Here, have a drink of water as proof." 5. Tony Tiu could be a dressmaker. 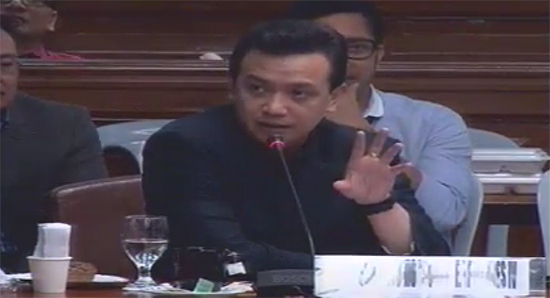 Senator Trillanes admitted that he finds Tiu very sketchy as a businessman and even proclaimed that he felt somewhat manipulated. Trillanes believes that his presence at the "soft opening" of Sunchamp Agri-Tourism Park back in August was part of an elaborate set-up. He no longer believes in Tiu, but finds his "sewing" skills remarkable. His advice to Tiu? "Pwede kang sastre. Galing mong mag-tahi ng kwento." Lesson learned: Explore unexpected opportunities. 6. Managers serve CEOs water. Senator Cayetano was more than a little incredulous when Tiu revealed that he doesn’t know the names of his kasambahay or even the caretakers of his estate. Tiu told Cayetano, paraphrased with the tone retained, "You have a staff of 50. I have a thousand employees." Insert his smile here. Not convinced, Cayetano asked him who serves him water. "The managers. I am the CEO of the company," Tiu responded. Lesson learned: Good managers retain skills acquired as interns. 7. Posting photos on Instagram does more harm than good. Little did the developers of Instagram know that their creation would be used for lifestyle checks. 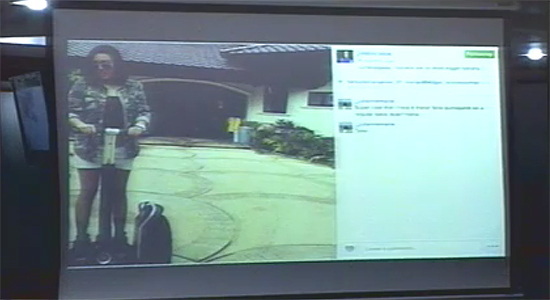 There was Jeane Napoles, followed by the Estrada kids. Now? It’s @jmblicious. Lesson learned: Maybe stop posting photos of your lavish lifestyle on Instagram. It arouses jealousy, and worse, suspicion. 8. Lock, stock, and barrel does not include chickens. We reference no. 3 and just admit that this is confusing. Tiu repeatedly claimed that he owns the land and that he bought it and everything on it...except the chickens (it belongs to the caretakers?). He also doesn’t own the birds...and the plants...and not the horses. He owns the mango trees and asparagus, though. Lesson learned: Everything doesn’t mean everything anymore. 9. Senator Cayetano likes his job. Probably a lot. He seems to be a pragmatic chap, letting go of his 2016 plans with ease after seeing the numbers. He admits that the investigations he has joined may have hurt his chances, but he doesn’t care. After this hearing, we can see why. After baiting Tiu to contradict himself (quote: "It’s not even my word against your word-it’s your word against your word"), he interrupted the businessman to say, "Teka lang, gusto kong samsamin ’yung kung paano mo malulusutan ’to." Lesson learned: Stop and smell the roses (or expensive orchids, whichever is available). 10. There’s probably a reason why clowns bother people. 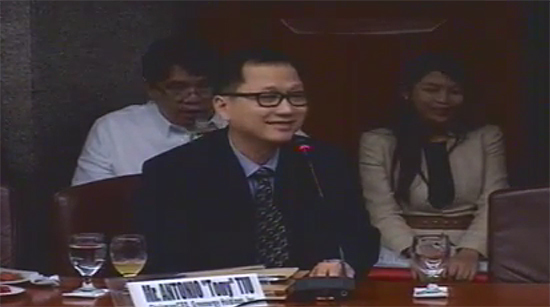 Tiu was called out twice by Senator Trillanes for laughing and smiling ("Don’t laugh. Hindi nakakatawa ito" and "Huwag kang magpa-cute, hindi kami naku-cute-an"), but that didn’t stop him from putting a mostly cheerful countenance for the rest of the hearing. Lesson learned: Smiling too much inevitably makes you look like a douche.